Recently, HealthXL members came together at the London Global Gathering where the topic of digital therapeutics and its role in modern health was featured prominently. During the event, Roberto Ascione, founding advisor of the Digital Therapeutics Alliance, moderated a panel discussion where participants drew on their own experiences to highlight the promise of the industry as well as the challenges faced in acceptance, reimbursement, validation and adherence. Speakers noted the need to focus on use cases where a significant imbalance between demand and supply exists. Digital therapeutics is at an inflection point in its hype cycle progression and has quickly begun to demonstrate its true potential as a solidified new category in healthcare today. Broadly defined as a technology-based health management solution, the diverse category includes mobile apps, wearable devices and telemedicine platforms. These use cases are rapidly growing in popularity as a means to treat or manage chronic diseases. Intended to complement or replace traditional therapeutics, these digital technology solutions generally provide recommended behavioral changes to patients ranging from diet and exercise curriculums to initiatives to help them adhere to proper medication intakes. The digital therapeutics market grew out of an industry need for cost effective, safe and scalable solutions to improve health and wellbeing. The most substantial advancements to date have been around supporting patients with long term conditions such as cardiovascular disease, diabetes, respiratory problems and mental health. These solutions are often multi-factorial, providing a variety of support tools which might include education, decision aids, improved communication, monitoring and specific advice and interaction remotely with health professionals and support groups. The potential thus far has largely been untapped and It is estimated that the digital therapeutics market will reach upwards of $9B by 2025. However, spread and adoption of these types of tools to date have yet to keep pace with industry hype. This reality can be attributed to a number of factors including challenges related to patient targeting, inconsistent reimbursement, variable digital maturity, interoperability within health systems, a lack of common standards and regulations. So, Who Is Leading the Charge? Like any new market, there are some digital therapeutics companies who stand out, having already earned credibility with evidence-based results to support their solutions. Below we provided a snapshot of notable successes that have generated collective optimism for the future of the category. In May 2018, Propeller Health, a comprehensive solution offering sensors, mobile apps, analytics, and services to support respiratory health management, announced a $20 million funding round led by Aptar Pharm. The company’s FDA approved applications help users learn more about and better manage their asthma, COPD and respiratory disease. The company currently has partnerships with GSK, Boehringer Ingelheim and MIR and recently published multiple clinical research studies highlight its efficacy. Sleepio, a digital tool providing cognitive behavioral therapy (CBT) for patients with insomnia, delivers clinical outcomes comparable to in-person therapy at about one-third of the cost. Evidence includes six published randomised control trials and 30 peer reviewed publications in over 4,000 people. It has been supported by the NHS innovation Accelerator in England through the Academic Health Science Networks and is now available free of charge to all NHS users in London with funding from Innovate UK for future roll-outs. Chronic Obstructive Pulmonary Disease (COPD) is the second most common cause of hospital admissions in England, costing the NHS over £800m in direct healthcare costs. Studies show that up to 90% of people with COPD do not take their medication correctly due to a combination of poor compliance and poor inhaler technique (Bourbeau & Bartlett, 2008). myCOPD, an app that helps people to more effectively manage their condition, has been proven to correct 98% of patient inhaler errors without clinical involvement and doubles the rate of recovery from acute exacerbation. The online platform provides patients with a self-management plan, inhaler diary, online tutorials and weather, pollution and symptom reporting. myCOPD has been adopted NHS England and paid for through the Innovation and technology Tariff, and associated fees have already proven to be substantially lower than current NHS costs. As chronic health conditions are concerned, diabetes management has proven to be one of the most successful use cases for digital therapeutics in the treatment of chronic health conditions. Omada Health is a company that is pioneering digital behavioral medicine with an innovative approach to tackling the growing epidemic of type 2 diabetes, heart disease and obesity. The company’s online lifestyle modification programs combine world-class science, technology and design to inspire and enable people everywhere to live free of chronic disease. Omada was named one of Fast Company’s “50 Most Innovative Companies in the World,” and their approach has been embraced by major employers across the country, including Costco and Iron Mountain, as well as leading health plans, such as Kaiser Permanente and Blue Cross Blue Shield of Louisiana. The company has published ten peer-reviewed studies and launched the largest-ever randomized controlled trial of digital diabetes prevention. Livongo is redesigning chronic condition management, starting with diabetes and hypertension and moving to other chronic conditions, by driving behavior change through the combination of consumer health technology, personalized recommendations and real-time support at the point of impact. Powered by advanced analytics, the company creates personalized experiences for members so they receive the right information, tools and support, at the right time. The mySugr app, currently available in 52 countries and 13 languages, specializes in all-around care for people with diabetes. The company’s apps and services combine diabetes coaching, therapy management, unlimited test-strips, automated data tracking and seamless integration with a growing number of medical devices to ease the daily burden of living with diabetes. HeLP-Diabetes was launched to meet the chronic disease management needs of specific patient demographics. The online curriculum was developed by the University College London and the Whittington Hospital NHS Foundation Trust and is delivered by the social enterprise HeLP Digital Community Interest Company. The program is being used today by a patient community that reflects the target population, with over half of users from minority backgrounds, over one-third having limited educations and one-third describing their computer skills as basics. HeLP-Diabetes has been well validated with a number of randomized controlled trials. While diabetes is often considered the most well-known chronic disease self-management via digital therapeutics, other conditions like heart disease are equally well suited, with startups like WellDoc launching to meet a more diversified need. Originally rooted in the diabetes management space, WellDoc has moved rapidly into creating additional tools for managing other chronic diseases including hypertension, chronic obstructive pulmonary disease and congestive heart failure.. The company is the first in healthcare to be based on a life science business model with a foundation that is built on randomized clinical trials that demonstrate significant clinical outcomes. As the digital therapeutics space matures and evidence-based results build further credibility for the technology solutions, the industry is seeing further diversification in how mobile health interventions are being used to treat mental health disorders. In fact, a recent study published by Psychiatric Services found that these solutions are as effective in treating patients with serious mental illnesses compared to in-person group therapy. Pear Therapeutics, a leader in FDA-cleared prescription digital therapeutics, is one example of how a company is using online health technologies to help patients manage psychological conditions. The company’s approach involves integrating clinically-validated software applications with previously approved pharmaceuticals and treatment paradigms to provide better outcomes for patients, smarter engagement and tracking tools for clinicians, and cost-effective solutions for payers. Pear’s lead product, reSET, is designed to address substance use disorder to be used as an adjunct to standard, outpatient treatment. Other products in development will address opioid use disorders, help manage schizophrenia, combat post-traumatic stress disorders, general anxiety disorders, pain, major depressive disorder, and insomnia. Akili, Ginger.io and Big Health are also relatively new market entrants poised to capitalize on the potential of the mental health space. According to the New England Healthcare Institute, poor adherence to medication regimens contributes as much as $290 billion annually in avoidable medical costs with failure to follow physician prescribed treatments estimated to account for 30 to 50 percent of treatment failures and 125,000 deaths annually. Medicine optimisation is another example of an area where digital interventions can be used to improve the appropriate use and monitoring of pharmacological products. Proteus Discover, for example, combines ingestion sensors within medicines, a small wearable sensor patch, an application on a mobile device and a provider portal. Once activated, Proteus Discover unlocks insight into patient health patterns and medication treatment effectiveness, leading to more informed healthcare decisions for everyone involved. It has recently received FDA approval to combine with an antipsychotic medication Aripiprazole and has demonstrated better adherence and improved outcomes whilst at the same time reducing healthcare costs. 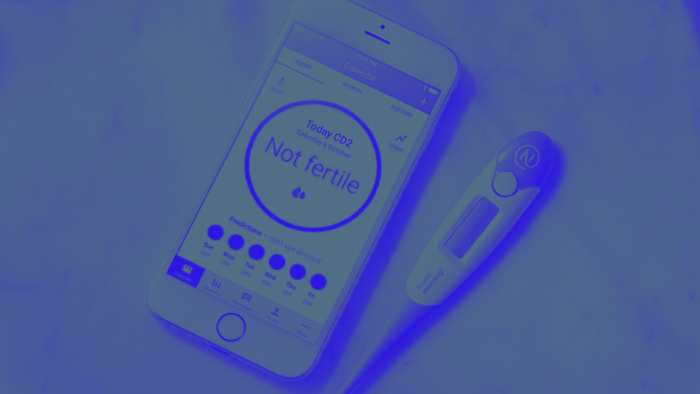 This is a critical but complex time for the digital therapeutics market as we are only beginning to recognise the tangible potential these solutions hold in being able to enhance the healthcare experience. As with any heavily hyped sector, fresh optimism is balanced out with a healthy dose of skepticism as the technology has a long way to go before becoming the norm in current practice and in our day to day lives. Furthermore, these interventions are not without risk. It remains vital that in the future, frameworks are created that provide appropriate oversight and regulation, and ensure that the patient data generated is being used appropriately. Digital therapeutics differ from health apps in that they have a clinically-evaluated significant impact on health outcomes. But, are they making behaviour change interventions cheaper, more effective and scalable? There remains an enormous amount of education necessary to help distinguish the category and its value proposition from the umbrella of digital health at large. HealthXL looks forward to driving that conversation with our members in the months to come.